How Big Should a Ceiling Fan Be? 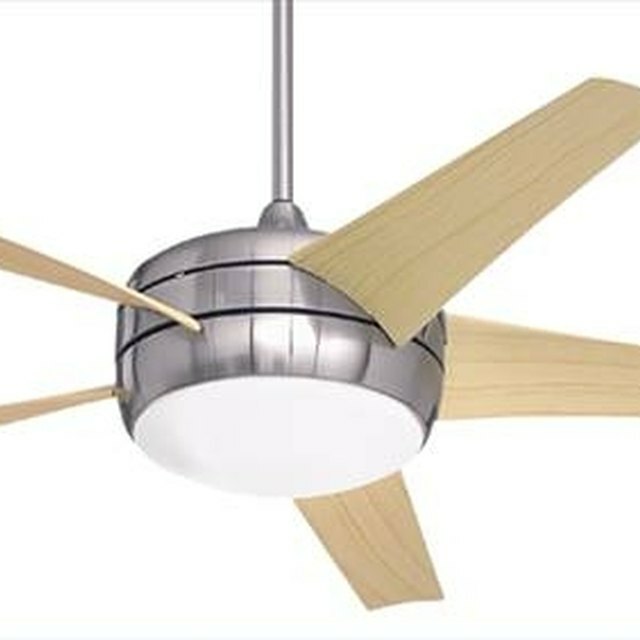 The size of a ceiling fan is the overall diameter of its blades. To work most efficiently, a fan must be sized appropriately to the room. This simple guide shows you how to measure your room and choose the right size of fan based on your measurements. Ceiling fans help you stay cool by circulating air around your body. Measure the width and length of the room, using a tape measure. If the room is square or rectangular, multiply the length by the width to find the total square footage. If the room is oddly shaped, calculate the square footage by breaking down the room into smaller shapes and adding them together to get the total square footage. Use the room's square footage to determine the proper size for your ceiling fan. Here are some general recommendations: up to 75 square feet: fan size of 29 to 36 inches 76 to 144 square feet: fan size of 36 to 42 inches 144 to 225 square feet: fan size of 44 inches 225 to 400 square feet: fan size of 50 to 54 inches over 400 square feet: use multiple ceiling fans following the above sizes. For instance, if you have an 800 sf. room, you would need two 54-inch fans. Keep in mind that ceiling fan blades should not be closer than 24 inches from a wall. Also, a ceiling fan must be at least 7 feet above the floor, while a height of 8 to 9 feet provides optimal airflow. Be sure to purchase the proper down rod if you have a ceiling height over 9 feet.